Here are the steps for editing you Lead Ad sync. You will see a pop-up with the fields you can edit. 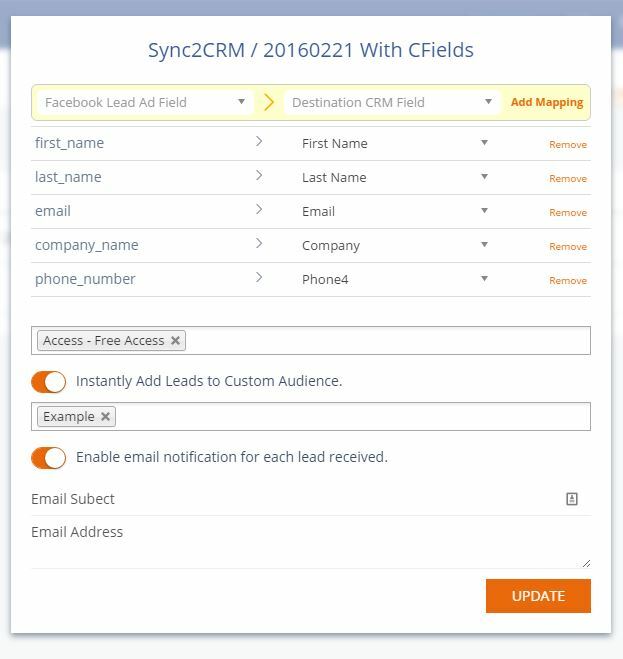 You can make edits to Lead Ad field mapping, Tags, Custom Audience you would like to send your leads to (Must have created Custom Audience) and email notifications. Once you have made your changes and click save. When you click Save the page will be refreshed and you can see your Lead Ad sync has been updated.